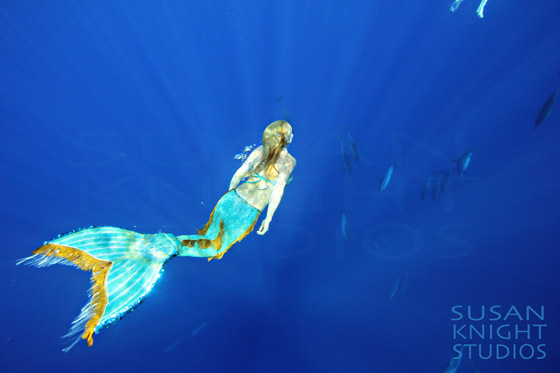 So Susan Knight is a Hawaii-based photographer who specializes in ocean/underwater/mermaid photography, and she will even be the official photographer at the first annual MerCon/World Mermaid Awards this August in Las Vegas. Yours truly shall be in attendance (and on a panel or two) and you should obviously come, too. 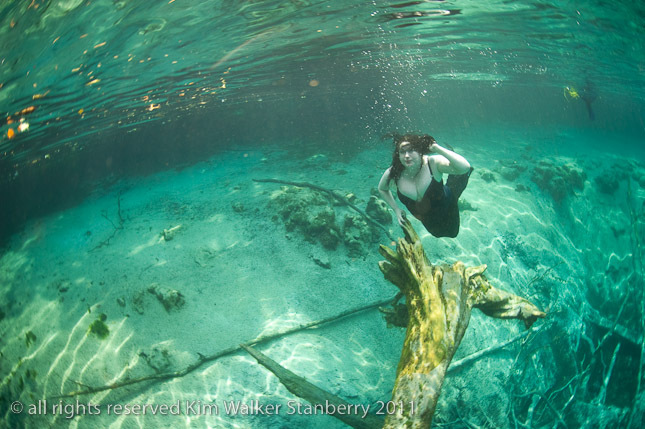 She will even be booking private underwater portrait sessions before and after the convention, and you can pre-book an appointment with her on her website. 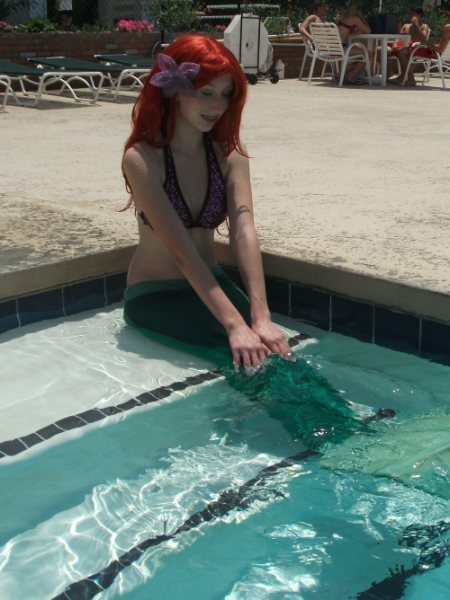 (Plus this fall she will be travelling on the mainland, doing mermaid portraits, with dates tba). 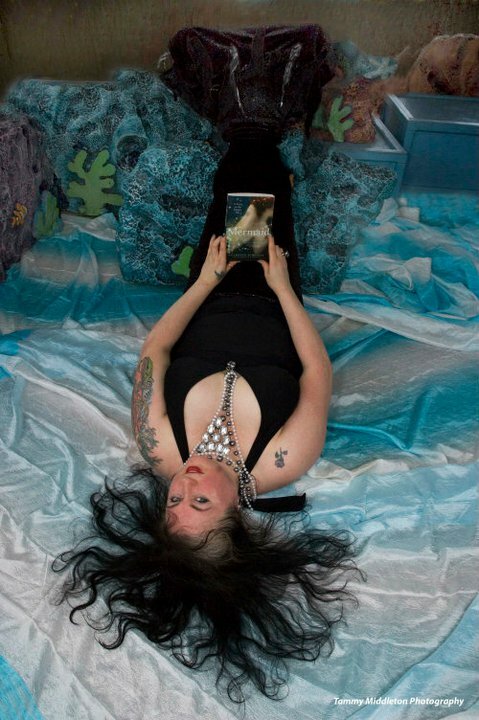 Susan is also the photographer who famously caught mermaids reading books in the wild. 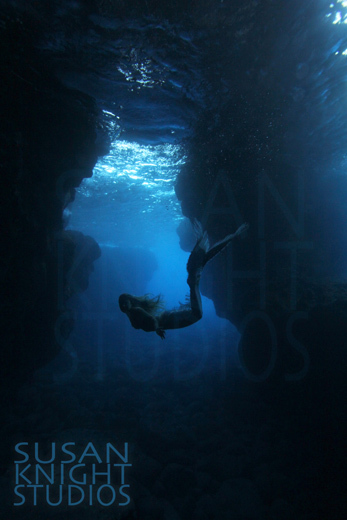 So how long have you been photographing mermaids and other underwater creatures? I have been interested in water and the beauty of water for as long as I can remember. Even as a young girl in swim lessons. My photography has developed from a hobby began 20 years ago. The last 5 years has been about learning to do it under water. That is when I moved to Hawaii. This year, it seems the Mermaids are really showing themselves and if you spend as much time in the water as I do, you get to spend time with Mermaids too! My venture into under water photography actually began with the gift of a small camera and an underwater housing from my husband who is also a photographer. I still remember the day he first showed me how to manipulate the camera settings manually. Each image was unique and vibrant. Then he asked “Now, don’t you feel like an artist?” And I did! It was an incredible epiphany. I also make artwork in Photoshop which is a very creative and fulfilling process for me. All my artwork begins with a photograph. Can you tell me about some of your more interesting experiences? I love exploring the coastline here. There are the most incredible sea caves and lava tubes. 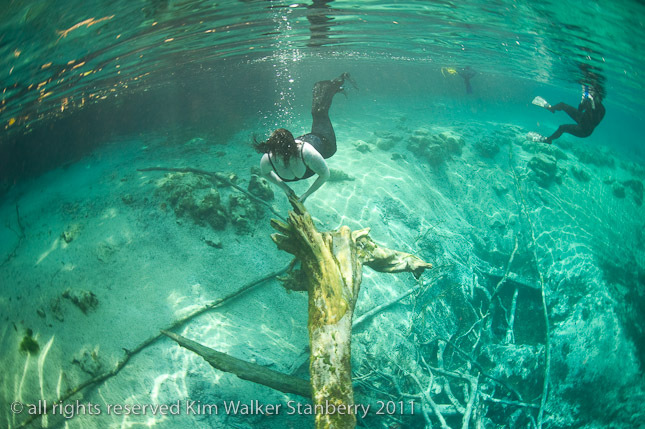 Some are quite deep and you can SCUBA and free dive back into them to explore. In the winter, the waves here can be huge. The swell was so crazy one particular day and the surge was pushing us back and forth in the cave. That is when I came upon a rare and exciting find. 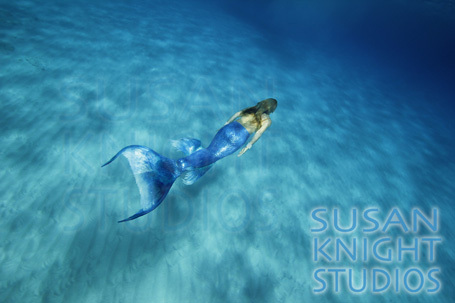 This image is in my “Mermaids for the World” Gallery, which raises money for ocean and kids charities. 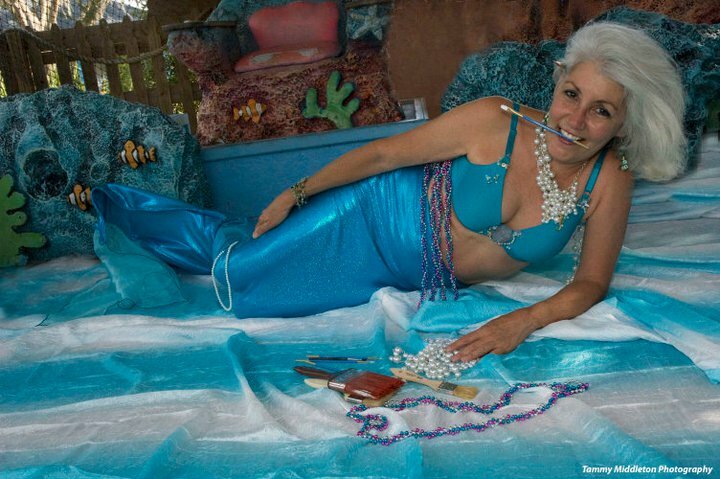 It is Dana Mermaid, the super smart local Mermaid that reads your books! 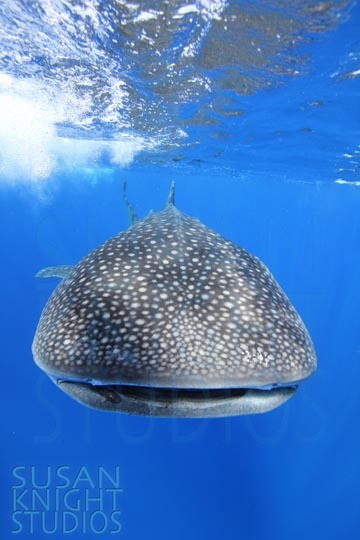 Whalesharks are my favorite and another rarity here. I have been incredibly lucky to swim with several. To me, they are the biggest Mermaids. The largest fish in the world with no teeth and the most amazing gentle manner. So much so that while I am photographing them, they will slowly move their huge tail to carefully steer around me. This one was about 25 ft long and stayed around for 45 minutes before disappearing into the deep. 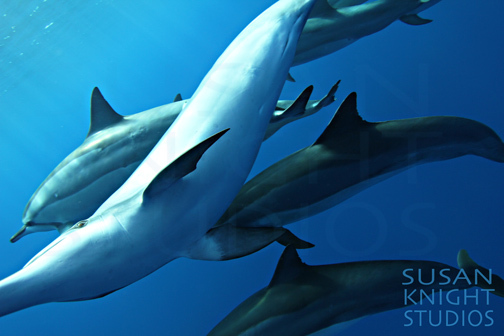 One other time while doing a photoshoot, a pod of Hawaiian spinner dolphins swam around us and this one looked back at me with a knowing eye. I had just been hugged by a pod of dolphins. It was amazing. 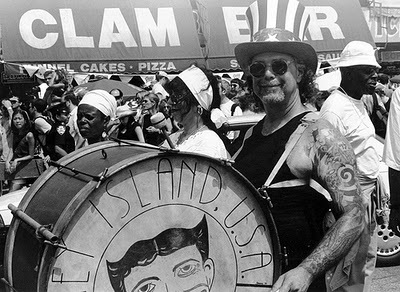 How would you compare photographing mermaids to photographing regular humans? As a photographer, my job is to capture the essence of the moment. We all have such amazing power and beauty inside of us. Many people are just disconnected from the water and are uncomfortable at first. 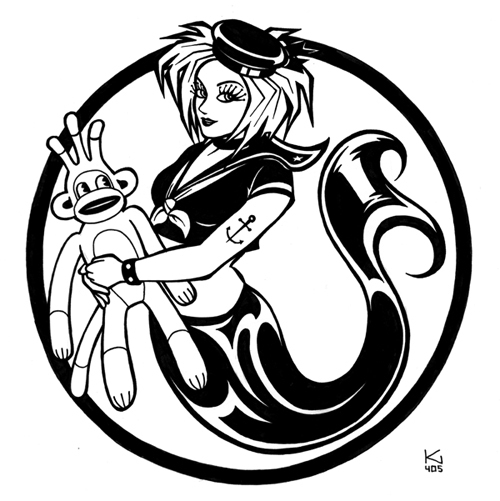 For both regular type humans and Mermaids, connecting with them, being playful and encouraging is what makes the magic happen. 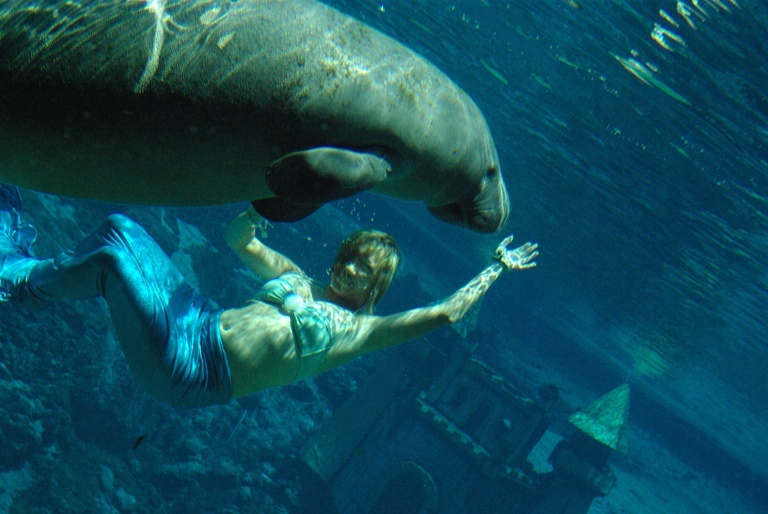 Mermaids are especially sensitive and very aware of their bodies in the water. This is always a joy to capture on film. I just happen to be a Mermaid that loves my legs. I love to run. 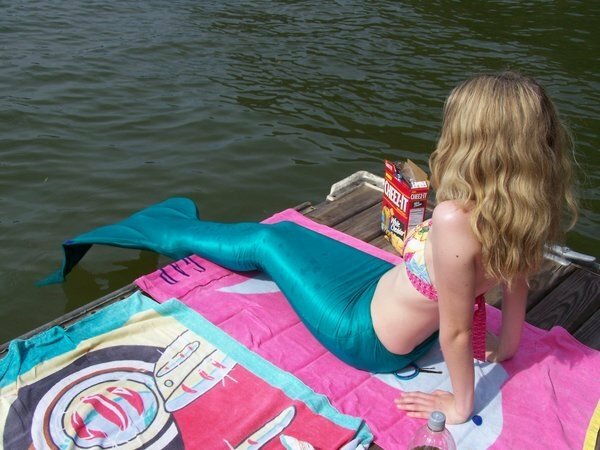 So I sometimes have my tail but mostly photograph other Mermaids and water folk wearing fins on my feet. They are deep and mysterious What’s not to love about them? They are connected to two worlds that are very different. Mermaids inspire us to be truly who we are. They bridge a perceived gap for land creatures back to the sea. I was amazed the day I learned this…there are places on earth with water and no life, but no where on this planet is there life without water. There is the same percentage of water in our bodies as there is ocean to land. It is who we are. The sea nourishes and draws us to it. It is important to give back. I encourage all people to be mindful of our thoughts and actions. and send love to the sea. While it is important to be aware, acknowledge and take action on matters such as pollution and misuse, it is also important to focus on the beauty of the sea. To expand that consciousness. Then it becomes more and more of a reality. 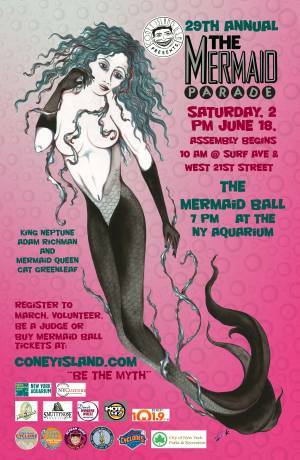 I believe there are more Mermaids showing themselves to bring us this important message. 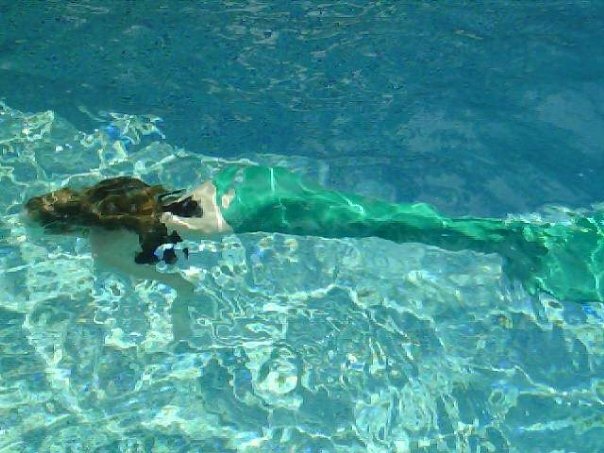 I appreciate all Mermaids. We have an unbounded love for the sea and all her creatures. Do you have any advice for mermaid models? Being comfortable in the water is very important. Having a deep love and connection with the water and within yourself is also key. That is the energy that the camera picks up. The lens loves passion, love, joy and excitement. Those things express to help create beautiful, timeless images. Images, which in turn inspire, and connect us all to water and to the ocean. Also, be aware that special training is recommended. Take a freediving course. Learn the capabilities and physiology of the human body and your own body. Respect that. I recently took my second free diving class with two of my regular Mermaid playmates, so we can all be safe and have fun while we are creating. It has actually made a huge difference in the images we are now producing. 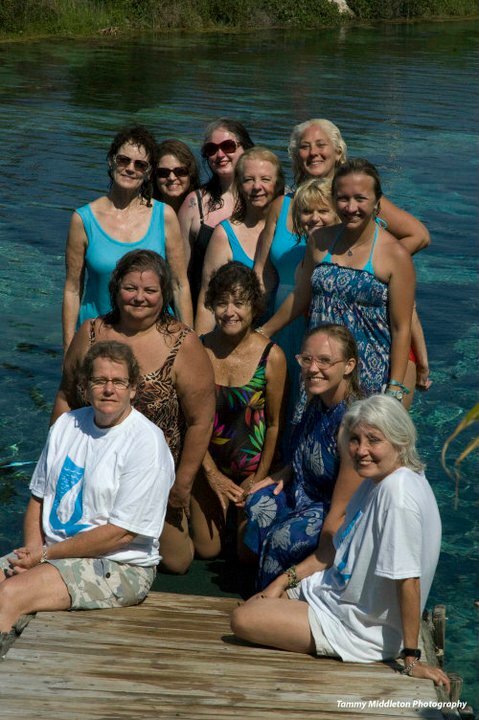 We swim with dolphins, manta rays, fish and other large animals. Any advice for other photographers trying to capture mermaids on film? Yes. Patience. Go into the underwater world with respect and awe and you will find respect and awe. Be aware that how you are, your energy, reflects all around you. I often meditate before I swim. When I am laughing and silly and enjoying myself, that is when the dolphins come. That is when the Mermaids are most playful. 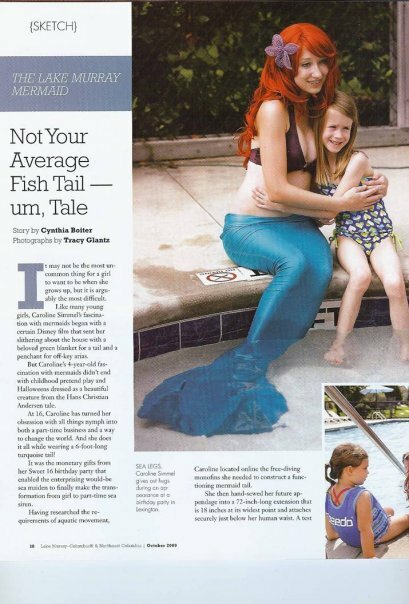 So recently USA Today did an article on mermaids surfacing as the next big thing and the recent “school of mermaid novels” being released. 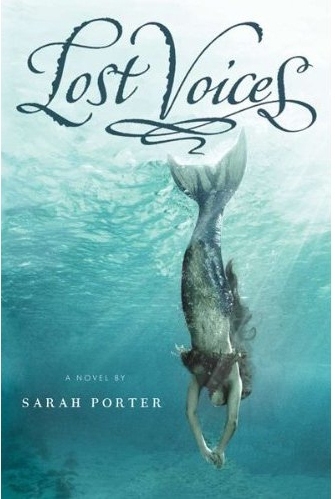 Among them is Sarah Porter‘s debut novel Lost Voices, which comes out July 4th and is the first in a trilogy of mermaid tales. It has one gorgeous cover featuring mermaid Malena Sharkey, whose interview you shall read here shortly, and the premise sounds awesome and spooky. I met Sarah the other night, and she was charming and cool and quirky and lives in Brooklyn with her husband. Below is her awesome book trailer, followed by our Q and A. So can you tell me the basic premise of Lost Voices? Well, the idea is that girls who are orphaned, abandoned, or abused—broken in some way—can renounce their humanity in a moment of despair. If they make that choice, they turn into mermaids. The mermaids sink ships in vengeance against the human world that hurt and rejected them. 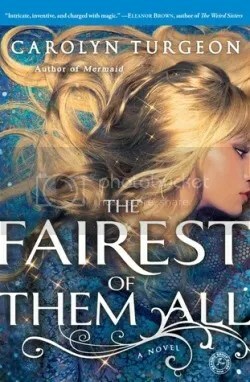 But Luce, the heroine, finds that even though she loves being a mermaid she can’t quite come to terms with murdering helpless people. On the other hand, she’s been terribly alone, and she’s deeply grateful to the mermaids for offering her acceptance and love. She’s caught between her humanity and her new mermaid nature, and she has to make some extremely difficult choices. There were different sources: a crazy mermaid story I wrote in graduate school, and another mermaid story I made up with a friend. But as for the key idea—that mermaids are the lost girls of the sea—I just knew that had to be the way things work. I’ve taught a lot in junior high schools and high schools. It reminded me of what a struggle it is at that age to understand who we are, and what our own humanity means. Once you learn everything humans are capable of, then how can you accept that you’re one of them? The mermaids think they’ve escaped from their humanity, but it gradually becomes clear that in many essential ways they haven’t. They’re both human and not-human at the same time. I think a lot of smart, thoughtful teenagers feel something of that: they have a sense of being part of the world around them, but also partly outside it, fundamentally different from other people. 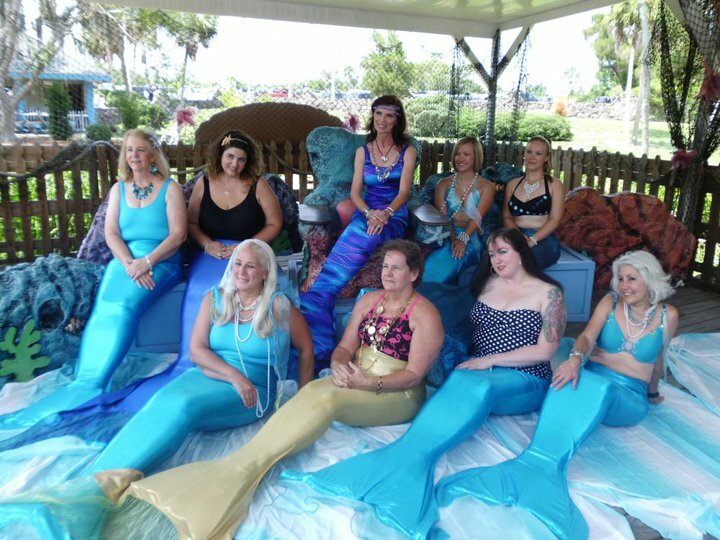 What attracted you to mermaids? I love the image of a divided nature: human vs. other, visible vs. secret and subaquatic, everyday vs. magic. If you only saw a mermaid as she was rising to the surface, you could think she was a human girl. Her tail is like the secret side of her personality, her hidden self, or the unconscious mind. That’s why my mermaids can’t take their tails out of the water for more than a few seconds: it’s hard to see or reveal those hidden aspects of ourselves for long! I’ve always been attracted to mythological, semi-human creatures, but maybe not mermaids specifically until pretty recently. Why did you decide to set the book(s) in Alaska? The first two volumes are set in Alaska. By the third book, though, most of the action has moved down to San Francisco Bay and the surrounding area; that’s the part I’m working on now. I guess I’m attracted to rough, northern landscapes in general. I wanted somewhere bleak and lonely and stormy, and I wanted the tribe Luce joins to be fairly small and isolated from the rest of mermaid society. She can only know what they tell her, and it’s impossible for her to guess if there could be any alternative ways of being a mermaid. It increases the drama of Luce’s position, because she can’t just go off and find another tribe twenty miles down the coast. Why do you think mermaid books—and mermaids generally—are so popular right now? I really don’t know why this is happening now. Mermaids do symbolize the divided aspects of human nature, but that’s hardly something new. 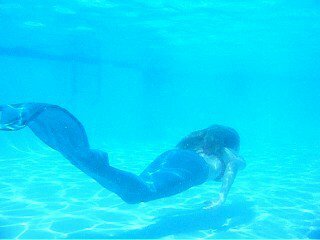 But I hope the mermaid craze will encourage people to become more conscious of the oceans and all the ecological problems affecting them! 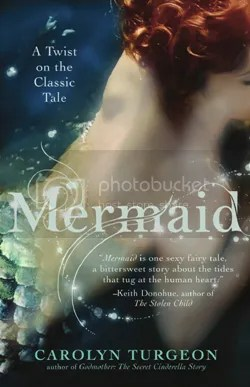 Do you have any favorite mermaid books/art/films, etc? Any that inspired you at all? They aren’t exactly mermaids, but The Water Babies by Charles Kingsley works with some of the same ideas as Lost Voices, though in an extremely moralistic Victorian way. And “The Little Mermaid” by Andersen is a touchstone, of course, especially for the second book in the trilogy, Waking Storms. There are some wonderfully strange old Russian and Czech film versions of that story, too. And I love all the risqué mermaid illustrations from that old French magazine, La Vie Parisienne: mermaids smoking cigarettes under ice rinks, mermaids dodging missiles. You can find them online, but you probably shouldn’t if you’re under eighteen. I honestly hope that none of your readers ever reach a place of such despair that they turn into mermaids—at least, into mermaids as I know them. But if you do become a mermaid, keep working on learning to master your voice, sing in your own way, and don’t forget that some of us on land still love you.